This might sound strange, but on Friday October 22, 2010, I had the privilege of witnessing the death of a priest. Msgr. John Scully was an 86-year-old priest who said no to the bishop when told he should retire to an assisted living facility. Instead, he sought out a rectory to share in a parish that would still want him to give the gifts of his priesthood. My pastor was the first (perhaps the only one) to respond to his request. After 62 years in the priesthood, John Scully was taken home to is reward by Our Savior while he was consecrating the Eucharist. What the world needs today and is desperately seeking is more heroes. What the Church needs today is more heroic priests, for this would increase new vocations to the priesthood faster than any other recruiting methods. Msgr. Scully was such a hero. He was called a “legend” in my diocese because of his zeal, energy, and desire for souls. He started two parishes in my diocese (more if you include the ones he helped start as an associate pastor), and as Diocesan Director for the Propagation of the Faith (the precursor of the Office of Evangelization) for many years, he traveled to remote parts of the world, where he preached the Good News and baptized groups of people by the thousands. When Ralph and I founded Good News Ministries of Tampa Bay in 1995, we asked to meet with him. Rather than make us drive across the diocese to his office, he traveled to us. That was our first clue about his heroic humility. He graciously listened to our plans and affirmed us. He then officially recommended us to all the priests of the diocese. 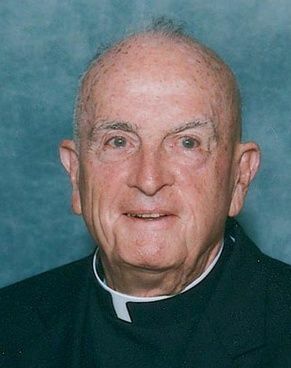 Although he was of a pre-Vatican II generation of priests, and this sometimes irritated me when it showed up in his homilies, he was not the typical pre-Vatican II diocesan priest. Unlike some others of his generation and some of the new priests of today who are coming out of seminaries sounding and looking like throw-backs to pre-Vatican II days, Msgr. Scully understood, appreciated, and respected the laity’s ability to do ministry. Unfortunately, my experiences with diocesan clergy have usually lacked this respect. Most of my collaborative and empowering experiences in ministry have been with priests of Religious Orders, probably because they understand more fully – they live – the community aspect of our faith, which breeds greater humility when working with others. Msgr. Scully was an example of heroic humility. His last homily was about heroic sainthood. Just a few minutes before he died, Msgr. Scully preached, with strength and conviction, the sainthood of us all. He said that canonized Saints are those heroic saints who have been recognized by the Church after much research and a provable miracle that indicates they have reached heaven. He added that there are many more who have never been canonized (i.e., listed officially as saints). He reminded us that all followers of Christ are saints and that St. Paul called all believers “saints” in his epistles. Then he said that 15% of Christians who are alive on earth are heroic saints. Msgr. Scully was one of these heroic saints. The Lord proved this to us by choosing to take him to his reward during the moment of greatest importance to all priests: the Consecration of the Eucharist. As he began the consecration prayers, Jesus came to transform the bread and wine into His Body and Blood, and John Scully was transformed with it. Priests are “in persona Christi” when they provide a Sacrament — it is the Divine Jesus Himself doing it through the man-priest — and Msgr. Scully’s union with Christ became so all-inclusive in that moment, his body was left behind. And I was privileged to witness this. Monsignor will be missed by many. His departure left a hole in the priesthood. However, I firmly believe that he is still not retired. He is continuing his priesthood now with much more power, freedom and effectiveness. Msgr. John Scully, pray for me and for the continued growth and effectiveness of Good News Ministries! Help us to be more widely accepted by diocesan clergy. Open doors into parishes for us so that we may reach more and more people with the Holy Spirit for the sake of evangelization and to change the world for Christ. In the name of our Savior Jesus Christ, Amen! Nance said: “All day long, I’ve been thinking about Msgr. Scully. I’m not sure I ever met him. If I did, I don’t remember. I’ve met sooo many priests. But, I have stood on that same altar upon which God reached down and took our brother home. I can ‘see’ HIS hand reaching down and taking Him… inviting Him to see HIS WHOLE self and not just in the presences of bread and wine. I feel as though my being stood next to a lightening bolt. One would say, “But by Grace, go I.” But I can’t help but wonder, in THIS instance, who received the biggest helping of Grace? I don’t even know this priest, but I feel so blessed by his presence in the world because he gave Terry and Ralph his blessings to proceed with developing Good News Ministries in Tampa Bay. A ministry that has PROFOUNDLY touched my life. I’ll never be the same because of the Holy Spirit that thrives in GNM. And so, in a way, though I never met or got to know this priest, I was deeply touched by his action on this earth. It goes to show you that you never know in this lifetime, whose life you may touch and what kind of an impact God has on them because you just happened to be there at the time. Anonymous said: “Terry, thank you for sharing this with us. 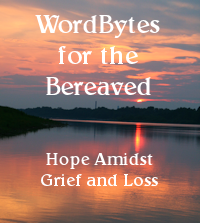 Death awaits us all – my husband who suffers from a rheumatic heart condition has been given some 5 years to live but both my husband and i know that the doctor was being generous and kind. i have amended my Requiem Mass hymns and readings for him (yes i had already done mine and told my children as i wasn’t having them having heavy metal music or any such nonsense at my funeral!!). Please pray that we both as a couple and as a family prepare for this awesome eventuality of God’s calling. Terry replied: “I’m not sure how to explain it, except I guess this is part of the culture we have in our society today — a culture that glorifies individualism and a me-first attitude. Priests are not usually “me-first” people, but very few Diocesan Priests have experienced the bonding that takes place within community life like Order Priests, where they have shared meals and shared finances — all moneys earned by Order Priests go to the community account, whereas Diocesan Priests get their own paycheck and keep it in their own bank accounts to do with as they please. Another factor to consider is that many Orders have a vow of poverty, whereas Diocesan priests do not. More humbling takes place with that vow of poverty.